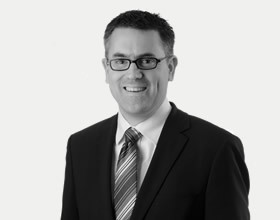 Brad Farquhar is an agri-business entrepreneur with a background in public policy and finance. He is the Co-Founder, Executive Vice-President and Chief Financial Officer of Input Capital Corp., the world's first agriculture streaming company, which trades on the Toronto Venture Exchange under the symbol INP. Previously, he was Co-Founder, Executive Vice-President and Chief Financial Officer of Assiniboia Capital Corp., which built the largest farmland fund in Canada before selling it to the Canada Pension Plan Investment Board for $128 million. In his work at Input and Assiniboia, Brad has played a key role in raising over $350 million from investors for agriculture and investment projects. Brad is a trained financial planner and has completed the Canadian Securities Course of the Canadian Securities Institute. He received a Master of Public Administration degree in Electoral Governance from Griffith University in Australia, studied political science at Carleton University, and completed a Bachelor of Arts in Liberal Arts at Providence College. Brad is a Director of Mongolia Growth Group Ltd. (TSXV: YAK), a commercial real estate company in Mongolia; Nomad Capital Corp., a frontier investment firm; Greenfield Carbon Offsetters Inc., a start-up involved in the creation of carbon credits; and Chair of the board of directors of SIM Canada. He is involved in his local business community as a member of the Saskatchewan Chamber of Commerce Investment & Growth Committee and is a 3-time entrepreneurial judge for the Saskatchewan Business Challenge. He is a former director of the International Centre for Human Rights and Democratic Development and the Regina & District Chamber of Commerce.